Pundry is a new word created by the owner of Pundry cleaners. It stands for Pickup and delivery cleaning, which means we specialize in mobile dry cleaning. So you just kick back and relax. We will do all the cleaning for you. Simply Call or Text Message us to provide us your Pick Up address. Home? Work? Wherever it is, we will be there! Schedule for Pick Up WHEN YOU WANT IT* Pick up in 30 minutes? Tomorrow morning? or Next week? It’s YOUR CALL (or TEXT)! *Same-day/Next-day available upon request, subject to Rush Order fee. At Pundry we know you work hard for your money, so we work hard for you to keep more of it. We keep prices highly competitive, because we believe High Quality is a Must. You trust us with your garments, we promise peace of mind. Our family takes pride in our attention to detail and integrity, being in the industry for over 30 years is a testament of our passionate commitment to you. Delivery charges are a thing of the past at Pundry. FREE Pick up & Delivery WHEN YOU want it. Our Dry Cleaner Valet will come to your home, work, or WHEREVER you are. Our standard 1-3 business days turn-around is included, with Same-Day service available upon request with rush fee. *These are starting prices. Prices can be subject to change. This prices for only Boulder location (1686 30th St.) All other locations vary in prices due to many other reasons. Our family journeyed from South Korea to the United States in the summer of 1982. We have been in the dry cleaning business for over 30 years with tremendous success. The Lee name is well known in our community thanks to our reputation in premium quality, fair pricing, and excellence in customer service. Pundry™ was created by Champion Cleaners, our parent company. Our company leads the way by simplifying the delivery process and placing all the tools in our drivers’ vehicles to satisfy our customers and their needs in a timely fashion. All of our dry cleaning is done in house, not outsourced. So now you can relax and enjoy your free time as you please, we’ll do the rest. When you trust pundry™ with your precious garments, your senses will come together announcing the premium care they were in. You will see, smell, and feel the difference when you wear them. Our delivery vehicles are specially equipped with state-of-the-art technology to efficiently and delicately transport your clothes. From your door step to our headquarters, they complete the voyage back to you in a seamless process. Innovation is crucial in today’s world, enriched with technological advancements focused on saving time and increasing convenience. Therefore, pundry™ has a patent pending in the united states, japan, and china. Which is the same patent we have already approved in south korea for our mobile delivery tech and dry cleaning concept. Our family has felt the immense pain that millions of other families experience every year when they lose a loved one. Since our beginning, pundry™ has been a loyal partner of the national center for missing & exploited children foundation. Dedicated to help in any way possible, we place a big poster on our delivery vehicles with the missing children and their information to help families find their loved ones. So your money goes further with us. Thinking of our children has us thinking of their future, that’s why we have largely invested in becoming one of the select few epa standard facilities. Our beautiful colorado can stay that way with everyone respecting and improving the environment. When you choose us, you automatically help the world. Thank you for your patronage! It’s live feed. Reviews from real people. definitely the nicest i've been to in boulder. really nice staff, clean, and the washers are heavy-duty so they get even the raunchiest stuff clean! not gonna lie, i'm sitting here now like a five year old, watching the washer agitate my dirty rat laundry (if you have pet rats, you KNOW how nasty their fleece gets), and it's extremely satisfying. other places, this stuff only got "sorta clean". also, that extra extract thing is SWEET. Casual, vintage quarter operated arcade. The place always smells good, like downy dryer sheets. Large TV plays Mexican soap operas that will leave you wanting more drama! Which is a good tactic to keep clients engaged. I only wish they added more games. The giant, triple and dryer games are entertaining with simple controls but I want pacman and smb3, teken, metal slug and other more mainstream games. Good prices, machines that work (and the rare ones that don't are properly labeled), clean area, and a nice guy who works there keep me coming back here to do my laundry! Pundrys laundry is awsome and clean. Cery friendly staff and clean environment. Open a fair amount of hours but not 24, but then again 24 hour laundry is almost a thing of the past. I go here all the time and will continue to. Good laundry machines. They have ones that do the equivalent of "3" or "5" normal loads so don't bring just one load or you'll be wasting money. Decent waiting area. Clean and inexpensive laundromat. My clothes actually smell like laundry detergent after the wash, which I can't say about other laundromats. Staff is really friendly and the store is quiet and relaxing. The store has free wifi as well. Dale is awesome here at Pundry. The place is always clean and he is always helping those in need. Even those whose walks in all the time. And those who are first timers. TV provided and WiFi, charging station. And you can ask to change the channel. I just started using Pundry and I absolutely love it! They are always willing to work with my school schedule for deliveries and pick ups and it's always nice getting all my clothes back nicely folded :)! The owner (or man who is often there) is delightful. Funny, kind, and very helpful. Made the chore of laundry enjoyable. 🙂 thanks! We do laundry here every weekend and would 100% recommend it. Fast and friendly service that leaves a smile on your face. Best laundry spot in Boulder. Super friendly staff. I have been taking my clothes there for wash and fold for more than a year and always have great service. You can't beat their prices. For those who like to multitask, there are several restaurants and a grocery store in the same plaza. PUNDRY is the only pick-up & delivery laundry service I will use in Boulder. The owner is very thoughtful, trustworthy, and communicates well. Also, the pricing is very reasonable. Because of how affordable it is, I don't even do my own laundry anymore... time is money, and I'd rather spend my time doing what I want while knowing my laundry is in good hands. I 10/10 recommend PUNDRY to anyone considering this service. AMAZING CUSTOMER SERVICE I left 2 dresses with them on Monday at noon, asking for next day rush service because I was going out of the country. They told me that they would be ready Tuesday after 7 pm. Flash forward to Wednesday at 9 am they tell me they aren’t ready. I left very frustrated, but soon the owner called and said they were really sorry and that they would come to the airport to personally drop off my dresses. Completely beyond the call of duty! Although the experience was initially frustrating their customer service was so impeccable it completely counteracted my frustrations! The owner clearly cares about his customers and it shows. Highly recommend them! Needed dry cleaning done ASAP. Dale was able to help out right away and was extremely helpful kind and honest. He also got out a couple stains that I had on my pants. I love pundry and the staff, Walter always is considerate of my needs, always is helpful also. First rate. Clean, comfortable with good entertainment. The machines are mostly in good repair. Love the giant machines! Walter is friendly and courteous. He is always ready to help. Top notch laundry! Amazing service!! dale went above and beyond making sure I was happy with my clothes. Reasonable prices and I'm very satisfied with everything. Thank You!! Will be using this place from now on. Love this place. It’s always very clean and the owner is great. I love this place. They cleaned my wedding dress and husband’s suit. Job was done great. Mr. Myung is the nicest guy ever, and the top notch service he provides makes PUNDRY the ONLY place to have your clothes dry cleaned in Boulder! The best dry cleaning service in Bouder, I have been experiencing this for 2 years. The owner of the store is kind and humorous, and the service is fast and professional. Hope more people come to this store! Fantastic dry cleaning service, left dress shirt like new. Talk to Dale he’ll get you right! I've been coming for a few years now. Clothes are always done on time and they look great. More importantly, the people are awesome. They keep me coming back. I've been doing my laundry here for about 3 years. The staff is always very friendly and helpful. There are three televisions, some couches and vending machines which make the experience a little nicer especially if you have children. This is a great place to do your laundry. Also you can't beat the location with access to several stores including grocery mailbox restaurants and so on. Best laundromat in Boulder, hands-down. It’s always clean and the washers and dryers are in good shape. Owners are nice and friendly. I love this place. Dale and the team somehow always get the tough stains out of my business was shirts. I’ve been coming here for a few years and always get great and dependable service! They provide very good and friendly service. The laundered and dry cleaned items are returned in impeccable shape. They are good at removing stains as well. The manager, Dale, always provides good customer service with a genuine smile. We are pleased to have found a competent and friendly dry cleaner. Easily one of theost accommodating businesses I've ever been to. Owner was very helpful when a machine wasn't working, and even contributed extra coins to ensure no time was lost. Extremely helpful. I always go here to get my suit and dress shirts dry cleaned. They always come out spotless, and I am always impressed. Dale is a great guy who really puts the customer first! Very clean, fast and efficient service. Wish I found this place sooner, highly recommend! Owner is extremely helpful and friendly! Thank you! I've been a recurring (happy) client several months now. I have nothing but good things to report. Not only is the dry-cleaning service itself excellent - and reasonably priced-, but the customer service is top-notch. The staff is very friendly, kind and upbeat. They make a point of remembering your face/name! There was a time in which I needed an item sooner than scheduled, and they were able to accommodate. 5 stars!!! Sure it's nice, and it's by King Soopers so what more can you ask: laundry and groceries at same time! Yay! I need a laundry only occasionally- I can't remember why I needed one last time I was there; right now we can't get my washer downstairs until we find someone heftier than me. Front loaders have a big chunk of concrete that stabilizes the spin and it's heavy when facing a dozen or so steps. Maybe I'm a cynic, maybe I'm spoiled by my large (is it "large"?) washer but I'm not impressed by signs claiming the washers are 2x, 3, 4, 5x the size of a regular washer. This isn't specific to any laundromat yet I want to know if anyone has those 1x machines. What do they look like? I thought of it regarding this location because it claimed to have even larger than large washers and I have a king wool bed pad and a Sleep Number bed top I'd like to wash but neither fits in anything. I've hauled them around, following promises of huge washers while sleeping on a spare queen, to no avail. Cute, little laundry. Lots of entertainment if you forgot to bring your own. Waited months to write review. Pundry lost 20% of my wash and fold. I supplied detergent. Nothing has turned up. I love spending $10/pair on athletic socks and gear only to lose the pairs, etc.What a waste. They should’ve credited my account. Psycho lady works there and stood in the parking space to guard it for deliveries. But was very ready to fight over the space rather than (like a normal person) calmly tell people that she was holding the place, and not just obliviously standing there. Real friendly lady. They took it upon themselves to dryclean garments that had been put in the laundry bag and then had the nerve to charge $20 because it was a 'jump suit' and they thought it was dryclean-only. 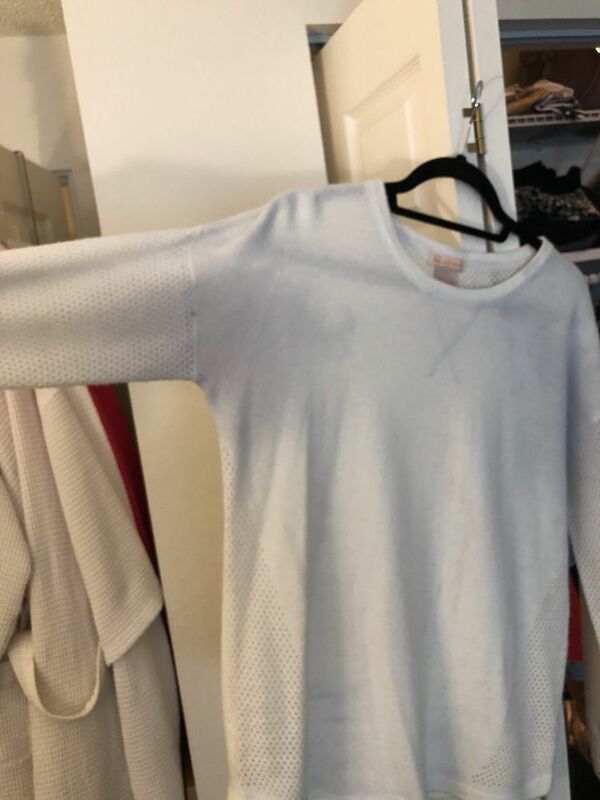 My clothes were held hostage because they decided to dryclean them instead of just washing and folding like everything else in my order. Admittedly this is my first experience with a laundromat that wasn't in a college dorm or my apartment. It's a little pricy but since the machines ACTUALLY work and have real options I've found it worth it. Finally I can wash those comforters that probably should've been washed a while ago but they didn't fit in the apartment washers so... They didn't get washed. I totally love the options of the washers. Just pick what size you need and there are so many. I encountered one that didn't work, but I found out because of a clearly labeled, hard to miss sign. They have a coin machine that works beautifully, free WiFi, a TV playing, a charge station with cords in it. They even had a USB c cable. That's impressive in my book. Plenty of places to sit. It's incredibly clean and nice. They have an ATM as well. But honestly I just ran over to the King Soopers and grabbed something amazing got cash back. That's another thing, this place is very conveniently located. There's a Ripple for those who like froyo, a King Soopers, a Starbucks (an actual stand alone one and one in ikr King Soopers) a Best buy. There's a ton in that plaza. Back to the actual place, it suggested for first time customers to ask for help, it was easy to ask the Lady at the counter and she was so polite and kind. She even made sure to check in on me when I was figuring out how to close the machine. I figured it out but it was nice she wanted to make sure I knew. They have a glass case with Gundam figures in it. They're really nice. And they have one of those candy machines where you put a quarter in and turn it. It's so clean! I also love how you can basically choose how long you want your stuff in the dryer and you can choose how hot you want it. Also definitely go for the extra extract on the washers because those definitely make it less wet. So yeah, my experiment with coin laundry is usually miserable and you never know what the washer or dryer is actually going to do but I'm very happy with actually being able to pick the heat and everything. I will DEFINITELY be coming back to wash comforters for sure. I really do think it's worth the cost due to the control you get with the dryers and washers and how nice the place is. WiFi, tables, couches, chairs. I even forgot to say they have many folding tables and rolling carts which is nice for those who don't have wheels on their laundry basket or moving washed clothes until the dryers. This was such a great experience. I headed out to wash our pillows today and found my nearby regular laundry closed, maybe not operating at all so I did a Yelp search and found this as the next closest. Easy to park and a friendly helpful attendant. That's nice. There are lots of machines of various sizes and prices which seemed quite reasonable. The place is very clean and though there were several machines apparently not working, they were clearly and neatly marked. These machines use actual coins rather than the newer credit card option as at my old place but there are bill changers and an ATM on the premises. The option for hot water wash actually worked and the dryer temps were accurate too. Those options were often not functional at the other place. I will definitely use this place in the future. Also, there is nice seating for waiting and it is walkable to King Soopers, a real plus. Who can say no to door-to-door drycleaning service at no extra charge? Pundry drycleaning has won me over due to their convenient location, door-to-door pick up & delivery service & opening hours (they even open on Sundays!) & competitive price. It's extremely hard to find an affordable drycleaner in Boulder, and Pundry is definitely the place to go. All my interactions have been generally pleasant, and seriously, cannot beat their price. This is my second and last time coming here. Which is too bad, because they really do have the best prices for a good quality dry cleaning. The owner, who was very nice and helpful to me my first time, was yelling at a worker there as I came in, so I imagine he's having a bad day. It's midday October 13, I asked twice if he could have the suit ready by October 18 because my SO is flying out of town. He didn't answer and printed out a ticket with October 19. Okay no biggie, last time I asked for a three day turnaround and got it, so I repeated a third time if he could have it done by closing October 18. He said no. I asked if he was sure, told him why I needed it, and he repeated no, October 19. Cranky toddler in tow, I just said I need to bring it somewhere else because my husband is flying out of town. He said okay, and walked away. Took my husband's suit and my business elsewhere, probably forever. *We also have two dry cleaning facilities.